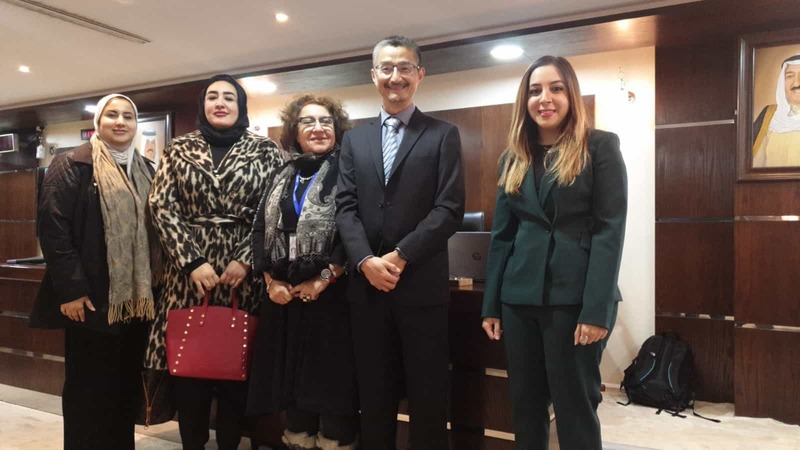 Kuwait Direct Investment Promotion Authority (KDIPA) participated in the Kuwait Public Policy Centre (KPPC) lecture on “Artificial Intelligence (AI) and Technologies: The Taiwanese Experience”, held on January 17, 2019 at the General Secretariat of the Supreme Council for Planning and Development. The guest speaker was Dr. Vincent Wen-Sheng Feng, General Director of the Computational Intelligence Technology Center (CITC) at the Industrial Technology Research Institute (ITRI) in Taiwan. The lecturer presented the AI Action Plan in Taiwan, AI technologies and breakthroughs, the AIdea co-creation initiative linking industry to academia. Dr. Feng highlighted the innovative idea in this area related to co-creation platform that links industry and academia. KDIPA was represented by Mrs. Mona Salim Bseiso, and Ms. Fajer Faisal Al Mulaifi, from the Director General Office.